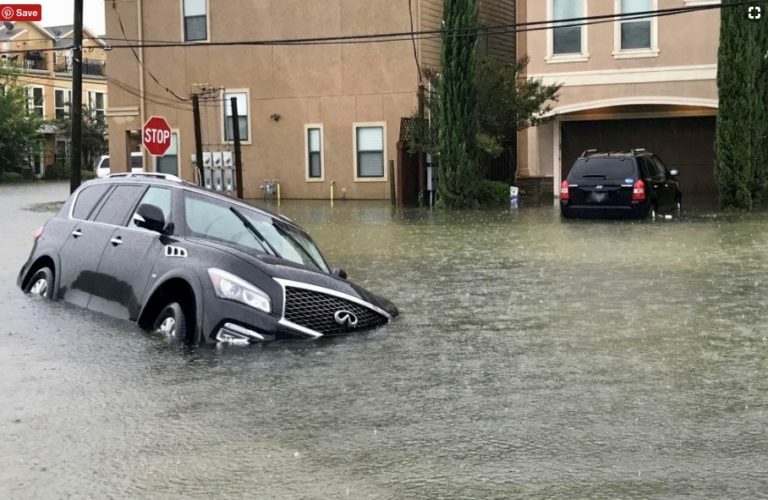 In the wake of a National Disaster, insurance companies will use a bag of tricks to pressure the owners of flood and water damaged cars into settling their insurance claims for far less money than their vehicles are really worth. Flood and water damaged vehicles are typically declared a total loss. Insurance companies usually low-ball policyholders into accepting offers for automobile storm claims that are 40% less than the actual value of the car according to data in a presentation made by independent public insurance adjuster Auto Claim Specialists to the Auto Body Association of Texas. When car owners feel most vulnerable, insurance estimators use tactics to quickly settle claims with low-ball offers by stating, “that it is a one time offer”. They also resort to threats of cancelling the claim or not providing a rental car. This is bad faith insurance adjusting. Do not be taken advantage of by these high pressure closing tactics by insurance companies. Millions of vehicles receive flood and water damage during a national disaster. A water line is at the base of the vehicle’s door or located higher up on the vehicle. The interior insulation under the passenger side floor carpet beneath the dash is damp or has condensation. What Constitutes a Total Vehicle Loss In Texas? If the actual cash value of the vehicle is less than the total repair cost, minus the paint materials/labor and sales tax, then the insurance company cannot repair the vehicle. The insurance company will send a Declaration of Total Loss and Settlement to the owner of an insured flood or water damaged vehicle. As mentioned above, data collected by independent public insurance adjusters indicates that insurance companies grossly underestimate large number of mass storm claims by upwards of 40%. Based on data supplied by Auto Claim Specialists, insurance companies have undervalued vehicles from 0 to 2 years old by nearly nine thousand dollars in some cases, and have undervalued older cars 12 to 14 years old by more than $14,500 in some cases. A car owner can quickly find themselves upside down on their car loan. Insurance companies have typically undervalued vehicles between 3 to 5 years old by as much $7,725. The lender will come after the car owner to collect the difference between the balance owed on the vehicle and the insurance company’s declared value of the total loss. Robert McDorman, a certified public insurance adjuster in Texas, says due to the large volume of claims in hurricanes as well as hail storms, “many important factors contributing to a vehicle’s value, such as options, condition, and other considerations simply get overlooked.” For example, the insurance estimator may not include the leather seat package you originally paid extra money for as an upgraded accessory. Don’t accept the first settlement offer from the insurance carrier without researching the value of your flood damaged car. Request a Market Valuation Report from your carrier, and question every value and item, whether it is included or missing upgraded equipment and accessories on your vehicle. If you can’t get a satisfactory resolution, contact a Public Insurance Adjuster licensed by the Texas Department of Insurance. Here is a link to autoclaimspecialists.com, a Public Insurance Adjuster agency. Or call them at (409) 200-2226. Reputable licensed public insurance adjusters fees should not be more than ten percent. The average increase in vehicle value negotiated for clients by Robert McDorman’s Auto Claim Specialists is more than $3,000 for current year models through fourteen year old model vehicles. I believe every automobile that was in water up to the floor pan should be declared a total loss and sent to a salvage yard to be crushed. Unfortunately, there is no state law that prevents flood damaged cars from being repaired. This poses a major safety hazard for the future. The complex electronic safety systems design to protect occupants from serious injury or death in car accidents cannot be “dried out” and will not function properly in car crash. (8) “Motor vehicle” has the meaning assigned by Section 501.002.